Dr. Morales, Dr. Shaikh, Dr. Alicea, Dr. Antonos, and Dr. Moore use modern computer techniques and three-dimensional models to show you exactly how your surgery will be approached. Using comprehensive facial x-rays and computer video imaging, we can show you how your bite will be improved and even give you an idea of how you’ll look after surgery. This helps you understand the surgical process and the extent of the treatment prescribed. 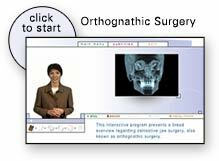 Our goal is to help you understand the benefits of orthognathic surgery. If you are a candidate for corrective jaw surgery, Dr. Morales, Dr. Shaikh, Dr. Alicea, Dr. Antonos, and Dr. Moore will work closely with your dentist and orthodontist during your treatment. The actual surgery can move your teeth and jaws into a new position that results in a more attractive, functional, and healthy dental-facial relationship. 5 out of 5 stars based on 4 Jaw Surgery reviews. Every one was very friendly and attentive. Would definitely recommend! Dr.Morales and his staff were great to me and my family throughout my entire time under his care, my procedure which was a jaw surgery was painless and I love the job Dr.Morales did, I would recommend dr.morales to anyone because he does an excellent job with his patients. I will recommend Dr. Morales to all family and friends. Very friendly and professional staff.